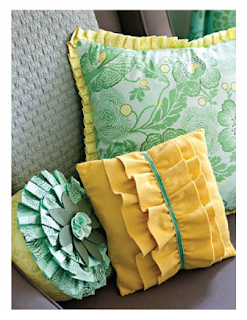 This month's Blog Hop is all about floral, ruffles and pleats. Here's my take on the challenge - a little ditty for the Operation Write Home basket. The photo is not very good. 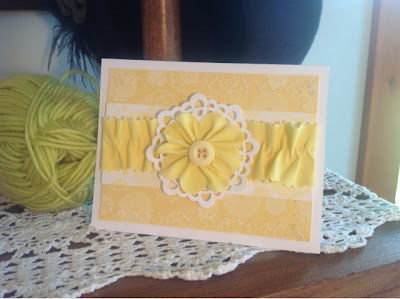 Using white ink I stamped the flowers randomly on golden harvest cardstock, and then stiched a zig-zag border. If this card wasn't destined for OWH, I would have glittered the lace doiley for an extra special touch. I didn't think any sentiment was necessary.